For more than 50 years, we’ve set the standard for supplying plastic scoops for every need. We provide scoops of all sizes, colors and designs. Contact us about your needs today. We work with a wide variety of industries. Our scoops are the result of a proven manufacturing process, outstanding quality control, on-time delivery and down to earth pricing. We offer our customers more than 60 stock sizes of scoops. Clients can also customize their unique size, shape, colors and design to aid in branding. MeasureX helps you get the scoop on your competition. We’re big enough to fulfill large orders, but small enough to react to our customers’ needs. MeasureX is ready to deliver scoops by the caseload or by the truckloads. Our responsiveness and personal relationships with our customers helps us identify what clients are using and where the market is going. Call us and let’s work together. Supported by a full engineering department, state of the art tooling, quality lab calibration and decades of experience, MeasureX scoops are in more industries than ever before including laboratory, pharmaceutical, health and fitness, weight lifting, pet products, veterinarian products, agriculture products and baby formula. We know scoops! 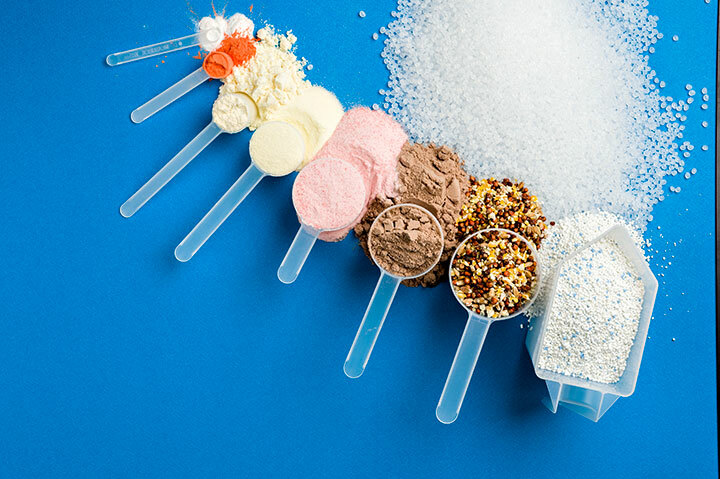 All plastic measuring scoops are, designed, produced and tested through multiple lab studies. In many industries, a dash of an ingredient or fraction of materials are all that's needed to become a revelation and game changer in the field of health care and beyond. Our small scoop designs provide this accurate measurement in such a critical industry.